Craig Jamieson is a Managing Member/Owner of Adaptive Business Services. Craig shows businesses how to leverage social sales tools, techniques, strategies, and Social CRM to increase their revenues. 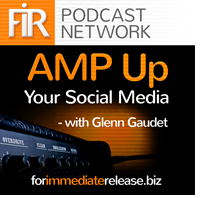 Craig recently joined AMP Up Your Social Media’s host Glenn Gaudet to discuss the importance of social media in B2B sales. [Through social networking], my connections convert to opportunities, and most importantly, these opportunities find me, rather than me having to go out and cold prospect. Understand the concept of the social media ecosystem and how it all works together. Understand the psyche of the sales person; typically their mindset is not marketing. You need to make social media fast, clean and easy. Teach your sales team how to not only networking using social media, but also create status updates and share content…this is how they will start to see results. Provide your sales team with content (good posts that are connected to landing pages, blog articles, etc.) that brings attention to them and the company or the product/service. Craig M. Jamieson is the owner and manager of Adaptive Business Services, a DBA of Sales Results LLC. Craig has been a Boise resident since 1982. Craig’s entire career since 1977 has revolved around business to business sales activities and he has held posts as a business owner; local, district, regional, and national sales manager; and as a trainer and consultant. His workshops and seminars are consistently rated 9+ out of 10 by those who attend and he also served as adjunct faculty at Boise State University where he taught “Salesmanship”. For the past five years, Craig has owned and operated NetWorks! Boise Valley, which is the most sophisticated and serious leads group organization in the Treasure Valley and is currently two groups strong. He is a strong believer in all things “networking” and blogs extensively on this topic including the recent addition of social media applications as they relate to business uses only. Throughout his business career, Craig has consistently deployed CRM solutions in his business ventures and is uniquely qualified to evaluate these tools from the standpoint of both management and the individual salesperson. 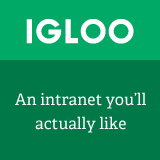 He is very familiar with Salesforce, Zoho, ACT! and a number of other applications. Craig understands selling, social media, and CRM. Please note that this episode was recorded outside the normal studio quality that we have used in the past. We apologize for this, but the conversation was so insightful in terms of getting into the mind of how salespeople look at social media, we wanted to share it. Thank you for bearing with the variable sound quality.